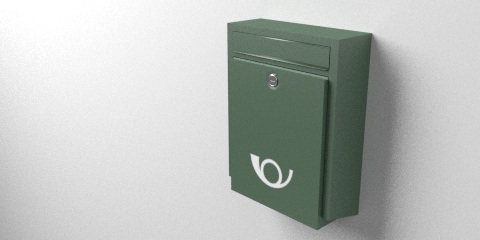 A new model for the external walls, a green letter box. It has a simple texture for the post logo. The image above has been rendered with cycles.